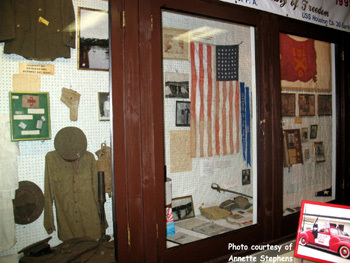 The Museum is home to the Lost Battalion Room, a tribute to those who lost their lives and those who survived as Japan's prisoners of war in World War II. The members of the 131st Field Artillery of the Second Batallion were, for the most part, young National Guardsmen from small towns and rural areas of North Texas, along with survivors of the Cruiser USS Houston (CA 30). The battalion was captured on Java when the Japanese overran the Dutch East Indies. Together with captured survivors of the cruiser Houston, sunk in the Sunda Strait on March 1, 1942, members of the unit came to be known as the Lost Battalion because for a year no one at home knew what had happened to them. The men of the Lost Battalion spent the rest of the war in Japanese prison camps. 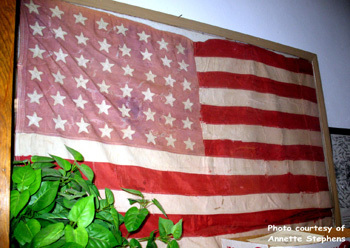 The room is filled with mementos of the prisoners' valiant fight to stay alive while imprisoned by the Japanese. They maintained military discipline with a loose chain of command and the buddy system to take care of the sick.